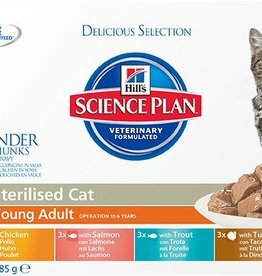 Foods made specially for cats that have been neutered or sterilised. 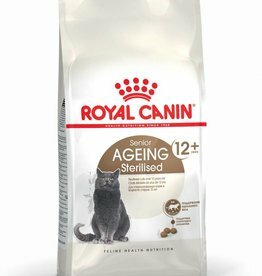 Royal Canin Ageing Sterilised 12+ Cat Food is a complete and balanced diet formulated for adult cats over 12 years of age that have been neutered. 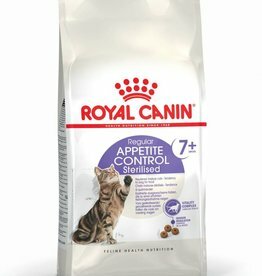 Royal Canin Appetite Control Sterilised 7+ Cat Food is a complete and balanced diet made especially for neutered cats older than 7 years of age with a tendency to gain weight easily. 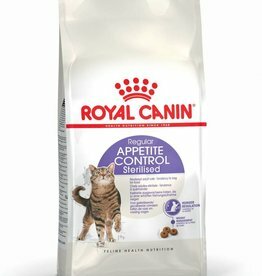 Royal Canin Appetite Control Sterilised Cat Food is a complete and balanced food made especially for neutered cats between 1 and 7 years of age. 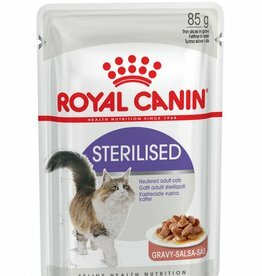 Royal Canin Feline Sterilised Care Pouch in Gravy Wet Cat Food is a complete and balanced diet formulated for adult cats over 12 months of age that have been neutered. Royal Canin Feline Sterilised Care Pouch in Gravy Wet Cat Food 85g Box of 12. A complete and balanced diet formulated for adult cats over 12 months of age that have been neutered. Royal Canin Feline Sterilised Care Pouch in Jelly Wet Cat Food. A complete and balanced diet formulated for adult cats over 12 months of age that have been neutered. 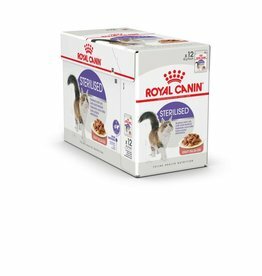 Royal Canin Feline Sterilised Care Pouch in Jelly Wet Cat Food 85g Box of 12. A complete and balanced diet formulated for adult cats over 12 months of age that have been neutered. 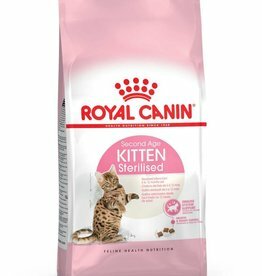 Royal Canin Second Age Kitten Sterilised Food has been tailored to meet the specific nutritional requirements of neutered kittens aged between 6 and 12 months old.